This series serves as a revisionist view of the Italian Renaissance. Focusing on seven important urban centers that produced art work from the period AD 1300–1600 (Rome, Florence, Siena, Milan, Venice, Umbria and the Marches, Naples), the series shows how the innovations that began in Florence in the early fifteenth century were amalgamated with older and more established traditions; the volume on Florence will demonstrate how the achievements of a small avant-garde were very much against the grain of current aesthetics and how the international Gothic actually had an impact until the sixteenth century. 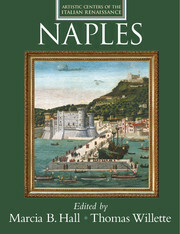 Volumes in the series are co-authored by a team of internationally regarded scholars of the Italian Renaissance.